Slope failures are essentially natural hazards that occur in many areas over the world. Popularly known as landslides, slope failures describe a wide variety of mechanisms that cause the outward or downward movement of slope-forming materials like rock, soil or landfills. 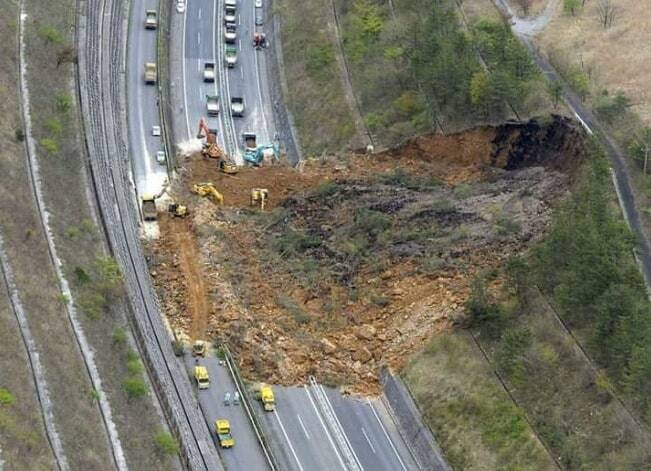 Landslide can result either from rock failure or soil failure. While in rock the failure plane is predetermined, in soil failure, the failure plane occurs along the line of maximum stress. There is a theory that all slopes are inherently unstable and it is only a matter of geologic time that slope failure occurs. Apart from external triggers like heavy rains, earthquakes, construction projects, there are also internal causes for slope failures. Slopes lose strength over time through numerous events and certain lithologies lend itself more to specific types of failure. In this type of failure, the failure plane is predetermined. The orientation and spacing of the discontinuities plane with respect to the slope face are the determinants of rock slope failure. Failure could arise from a single discontinuity, a pair of intersecting discontinuities or a pattern of multiple discontinuities that form a failure mode. The failure surface in planar failures are resulted by structural discontinuities like bedding planes, faults or the interface between weathered rock and the underlying bedrock. This kind of failure leads to sliding action along the failure surface. Hence, planar failure occurs in response to a single discontinuity. the strikes of both the sliding plane and the slope face lie parallel (±20°) to each other. the dip angle of the failure plane should be less than the dip angle of the slope face. This is called Daylight. Strike is the direction of the line formed by the intersection of a rock surface with a horizontal plane. Strike and dip are always perpendicular to each other. This kind of failure causes a rock mass to slide along two intersecting discontinuities. 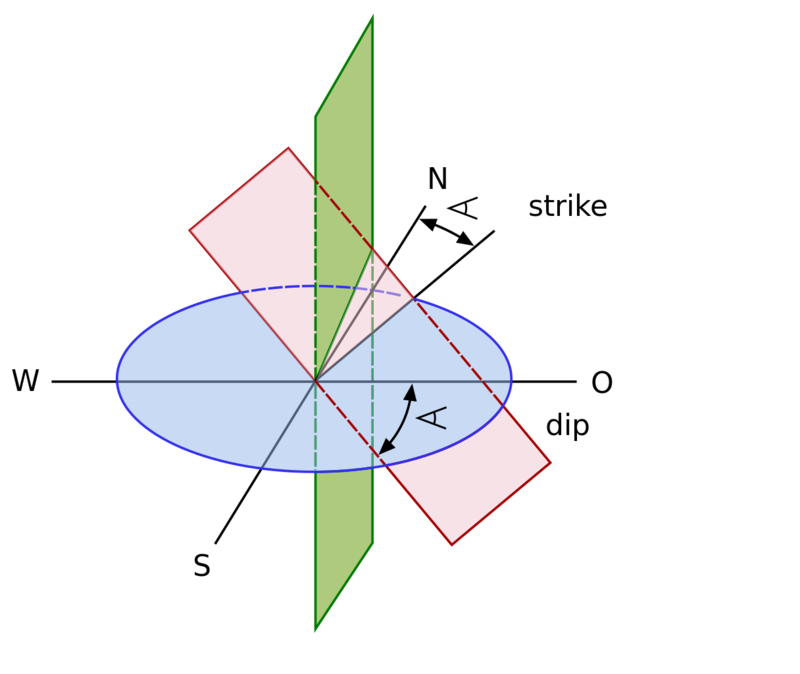 This mode of failure needs the dip angle of at least one joint intersection to be greater than the angle of friction of the joint surface. Favorable lithology for the development of wedge failure includes inclined bedding, foliation and well defined cleavages. Rocks such as Shale, limestones and slate are more prone to this kind of failure due to its internal form. The line of intersection should ‘daylight’ on the slope. This means that the dip angle of the intersection should be less than the dip angle of the slope. Wedge failures could occur very rapidly in a matter of seconds or it could happen slowly and gradually over a period of several months. The size of the wedge could be a few cubic meters to enormous landslides that could cause a large scaled natural disaster. In civil engineering, one of the main objectives in slope design is to identify the unstable wedges and develop scientific methods to support it. Toppling failure occurs due to steep discontinuities in the rock which eventually leads to slippage of the layers and the outward and downward movement of a column of rock. Here the column of rock rotates about a fixed point at the base of the slope. This toppling action is due to the column’s center of gravity lying outside the base dimensions. Prerequisites for toppling failure include closely spaced jointed rock mass with steep discontinuities dipping away from the slope face. 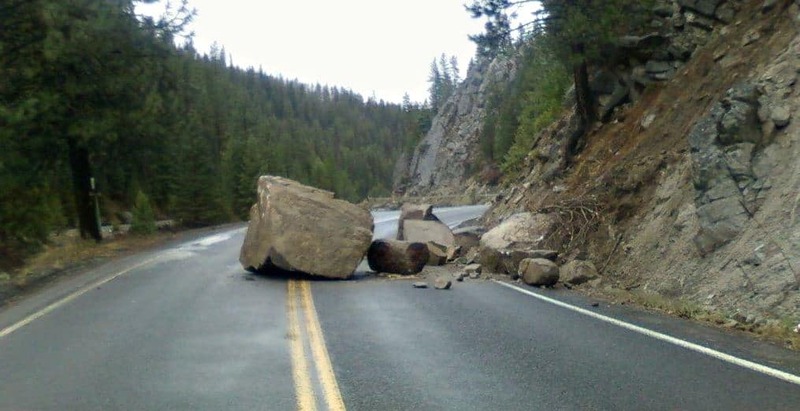 Sometimes the removal of an overburden load, that was previously imparting constraining stresses in the rock structure, could instigate toppling. Stabilization of slopes is very important and hence the expenditure on these programs is justified as unstable slopes can be hazardous. Slope engineering gives little space to cut corners to save cost. Factor of safety is raised for slopes near highways, railway tracks and other important structures through various stabilization methods. Selection of suitable method depends not only the technical feasibility but on the cost and ease of installation. Another important requirement is for the stabilization to be effective over a long period of time. There are some methods that reduce the driving force behind slope failure, like pore water pressure. Drainage is provided to reduce this pressure and reduce the likelihood of slope failure. Providing drainage is less expense than support stabilization techniques when it comes to covering large slopes. Excavation or removal of the upper portion of the slope is another way to provide stability. Stability of all slope types depends on height of the slope. Height is a key parameter that dictates the stability of slopes. Hence, unloading the crest reduces the driving force of slope failure. There are other methods that use support systems and reinforcements to provide stability. Lastly, there are protection techniques, usually employed where there is high risk of rock falls or landslides and where stabilization is insufficient or not feasible. Rock Bolts-installed across failure surfaces. This can be used for smaller failure planes or smaller rock masses. Dowels-these are reinforcement bars or blocks of reinforced concrete that is installed at the toe of the unstable blocks so as to give passive support. The shear and bending strength of reinforced steel is leveraged to provide this kind of support. Retaining Walls– these are usually reinforced concrete structures constructed at the toe of the slopes. This gives a kind of passive resistance against sliding. Fences-these can be used to intercept rocks rolling down slopes with an angle less than 40 degrees. Fences may be inadequate for larger rock masses and it may not be a good method to counter rocks falling at greater angles. Rock shed– In areas where hazard from rock fall is frequent but stabilization is not feasible, rock sheds provide good protection for highways. Tunnel is also another option to circumvent the hazards of unstable slopes. Sliding of a material along a curved surface is called rotational failure. There are two types of rotational failure, namely circular and non-circular. In circular failure, the mechanical properties of the slope are assumed to be homogenous and the particles in the soil or rock mass are very small when compared to the size of the slope. Basically, this occurs when the slope dimensions are substantially larger than the individual rock sizes. The failure surface produced is a circular surface passing through the toe of the slope. If soil conditions are not homogenous, then slope failure occurs with non-circular shear surface.